If you develop these symptoms, it is time to ask your physician about hormone therapy to reinstate your wellbeing. Your physician performs a comprehensive examination to determine if inadequate hormone levels are the cause of your symptoms. Often, this can include blood work and other laboratory testing to rule out any other potential causes. Based on their findings, a prescription is written to rebalance your hormones. Often, this involves the use of synthetic hormones to replace those that are made naturally. Although they are effective, they are created in a lab. As a result, they are not tailored to your individual needs, and they contain man-made chemicals. Your body will not absorb them or use them as those that are created naturally. 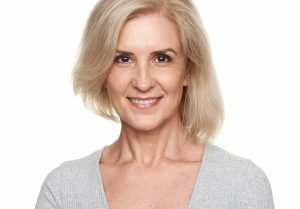 As an alternative to traditional treatments, you can enjoy the benefits of bioidentical hormone therapy. This involves the use of naturally-occurring substances and supplements to help you look and feel your best. Your physician determines which supplements are needed based on your symptoms, so your treatment plan caters to your specific needs. You can rest assured your treatment is biocompatible to give you the relief you need using substances that mimic what is produced in your body naturally. If you are no longer feeling your best, a hormonal imbalance may be the cause. You do not need to live with the results. You can restore your quality of life using a natural solution with bioidentical hormones. Dr. Connie Casad is board certified in obstetrics and gynecology to specialize in women’s health issues, but she also offers services for men, too. She takes a natural approach when helping her patients look and feel their best. Dr. Casad provides the solutions you need to maintain your quality of life. If you are living with imbalanced hormones, she can restore your levels naturally using bioidentical solutions. Contact our office today to see if bioidentical hormone therapy is right for you.